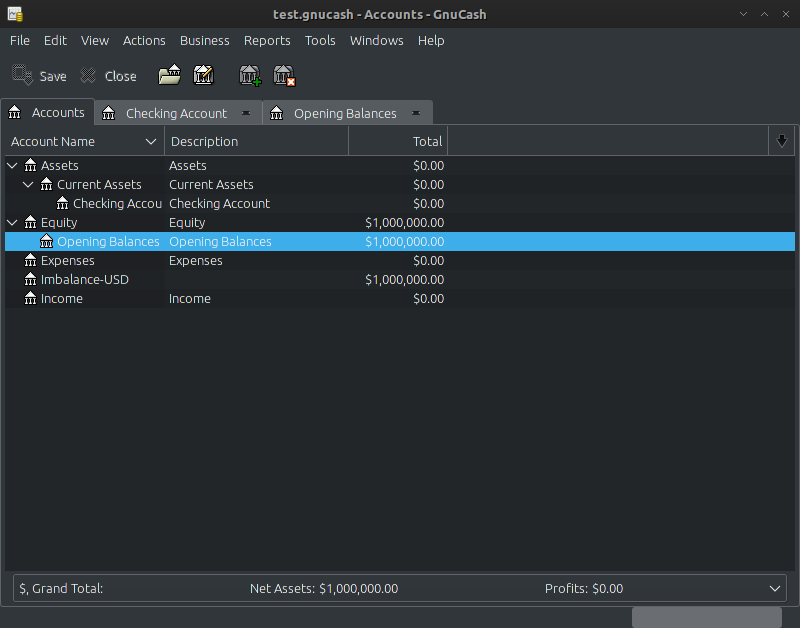 GnuCash is financial-accounting software for personal and small business, it's free and licensed under the GNU GPL. Available for GNU/Linux, BSD, Solaris, Mac OS X and Microsoft Windows. 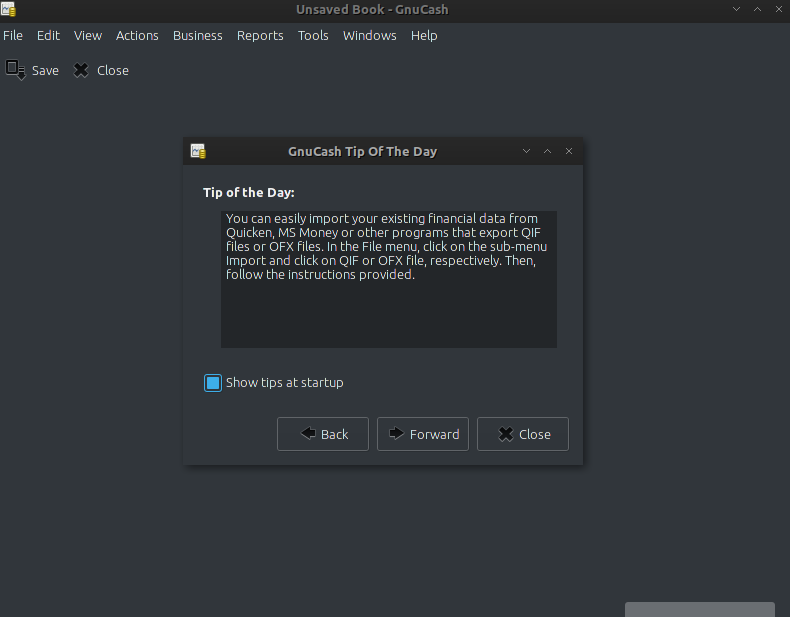 To start application just choose from start menu, or type "gnucash" from terminal. 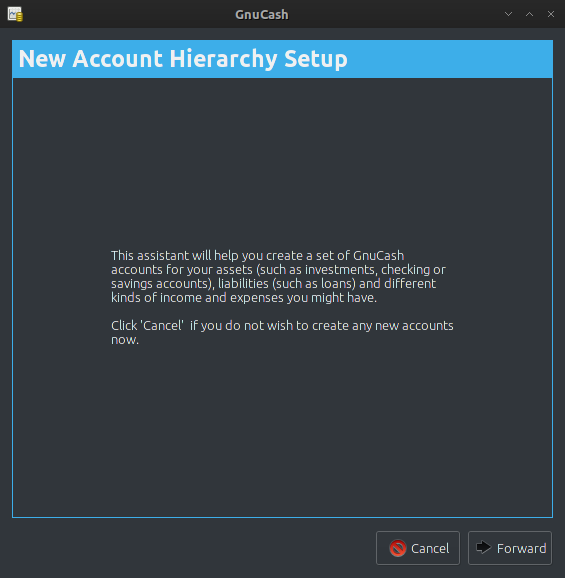 Here's the gnucash welcome start, by default it will show "GNU Cash tip of the day'"
Just follow the assistance until finish, when you at "Choose accounts to create" there are default default categories to start. 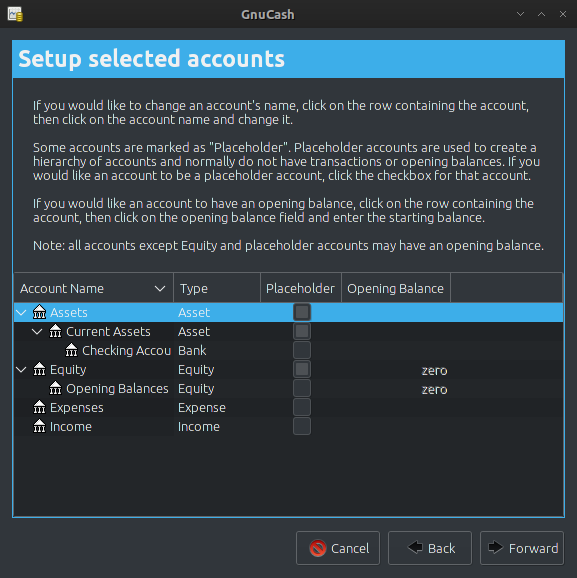 In this section maybe you will not need all of these account, so just choose categories that you need. Then forward -> Apply, it's finished. 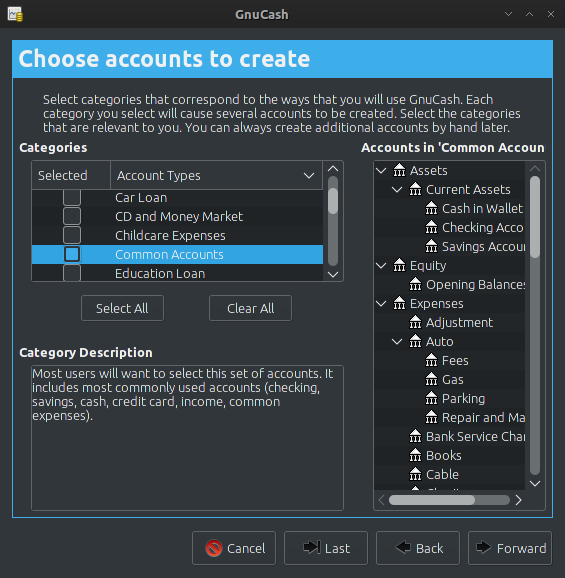 Now you can add your money data into gnucash accounts. Just add "data" to your accounts. When done. you can create Reports such as : Profit / Loss, General ledger, balance sheet, etc.